Former outfielder Jayson Werth pleaded guilty to driving under the influence in Arizona last week in court, according to Chelsea Janes of The Washington Post. Werth was sentenced to attend a diversion program, undergo drug and alcohol screening, pay $1,600 in fines and fees and he had his driver’s license suspended. This all stems from an arrest that took place in April back when Werth was playing at the Mariners spring training facility. Werth was initially charged with driving under the influence, driving under the influence with a blood alcohol content of 0.08 or more and driving without current registration, but the latter two charges were dropped as part of his plea agreement. In January 2015, Werth pleaded guilty to reckless driving after he was pulled over for going 105 mph in 55-mph zone on I-495 in Virginia. He served a few days in jail for that charge. A Mariners spokesman told The Post that the team was aware of the arrest when it happened “and took it very seriously.” He added that Werth’s time in Seattle’s minor league system was not affected because of this charge and all decisions regarding Werth playing came down to on-field performance. Werth retired from baseball in June after a hamstring injury in the minors kept him from getting another shot at the majors with the Mariners. In his 15 years in MLB, Werth was named an All-Star once and won a World Series with the Phillies in 2008. He spent the last seven years of his career with the Nationals after spending four in Philadelphia. Prior to getting a shot with the Phillies in 2007, Werth played 41 games for the Blue Jays between 2002 and 2003 and then played on the Dodgers in 2004 and 2005. WHY DID THE CHICKEN CROSS THE ROAD ??? Scott: ‘Cos ma wee transporter beam was na functioning properly. Ah canna work miracles, Captain! State Rep. Greg Snowden, R-Meridian, during floor debate in 2015. House Pro Tem Greg Snowden, R-Meridian, who was charged with driving under the influence Thursday after refusing to submit to a breathalyzer test, was co-author of legislation dealing with the state’s implied consent laws. Under the implied consent laws, a law enforcement officer who has “reasonable grounds and probable cause” to believe someone is driving under the influence can require that person to submit to a chemical test. The person who refuses to submit to “the chemical test,” such as a breathalyzer, loses his or her license for at least 90 days. The suspension for not submitting to the test would be in addition to the suspension and penalty that would occur if convicted of driving under the influence. Snowden, an attorney, told the Jackson Clarion-Ledger, which first reported the story, he failed the field sobriety test because of bad knees and did not submit to the chemical test because he had heard lawyers say it was best not to. He said he was not intoxicated but engaged in activity on his cell phone when he collided with another vehicle in his hometown of Meridian. In 2013, Speaker Philip Gunn, R-Clinton, introduced and passed legislation that would give people convicted of a DUI the option of having a device – ignition-interlock device – placed in their vehicle for a period of time rather than having their driver’s license suspended. The device would require the driver to take a breathalyzer before the vehicle would crank. The bill also made changes to the state’s implied consent law to conform to the new regulations concerning the ignition-interlock device. Snowden was one of several House members to co-sponsor the legislation introduced by Gunn. Snowden, who holds the No. 2 position in the House, did not response to inquiries Friday. In 2016, Snowden’s counterpart in the Senate, Pro Tem Terry Burton, R-Newton, was found not guilty of a DUI charge in Scott County. He said cough syrup he took right after a wreck resulted in a “false positive” being recorded on his breathalyzer test. In 2014, state Sen. John Horhn, D-Jackson, pleaded no contest to a DUI charge. With a no contest plea, an accused does not admit guilt but accepts the punishment without going to trial. Legislators have the opportunity to take part in various social functions – often conducted by lobbyists – where liquor, beer and wine are available. Beto O’Rourke, Democratic candidate for the U.S. Senate, speaks during a town hall meeting in Brady, Texas, U.S. on Friday, April 6, 2018. During a debate with his rival, Sen. Ted Cruz, R-Texas, O’Rourke was asked point blank about a drunk-driving incident when he was 26 years old: Did he try to leave the scene of the accident? The House Chronicle and San Antonio Express-News had recently obtained the police reports of the incident and reported he had done so. O’Rourke responded with what appeared to be a well-practiced answer. He flatly denied trying to leave the scene of the accident but added that his drunk driving arrest was a “terrible mistake” and he would not provide an excuse. He then segued into a riff about the importance of second chances. Cruz, for his part, said he would not discuss the issue but diverted to a discussion of O’Rourke’s sponsorship of resolution in 2009 to debate legalizing narcotics when he was on the El Paso city council. Interestingly, Cruz appeared to try to make his point factcheck-proof; he had earlier earned a “false” from PolitiFact Texas for saying the resolution was to legalize all narcotics, rather than just debate the issue. O’Rourke’s assertion that he did not try to leave the scene of the accident, however, is disputed by the police records. So that’s worthy of a fact check. At about 3 a.m. on Sept. 27, 1998, in Anthony, Texas, a suburb 20 miles north of El Paso on the border with New Mexico, police officer Richard Carrera was dispatched to a motor vehicle accident near the Texas 1-mile mark of Interstate-10. He met with the driver, identified as Robert Francis O’Rourke, and asked him what had happened: “The defendant advised in a slurred speech that he had caused an accident,” Carrera wrote in his complaint charging O’Rourke with driving while intoxicated. 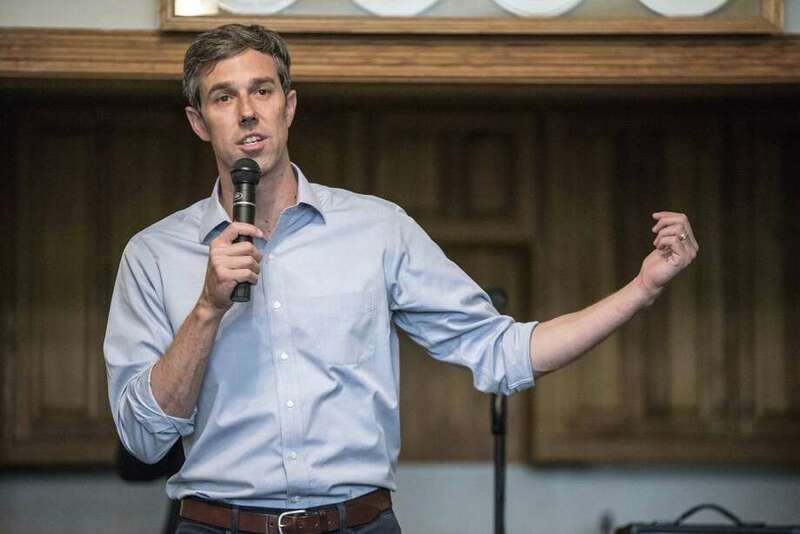 When O’Rourke blew into a breathalyzer, the results were a Blood/Breath Alcohol Concentration (BAC) of 0.136 and 0.134. The legal state limit in Texas at the time was 0.10; a year later, it was lowered to 0.08. With a BAC of between 0.130 and 0.159, a person experiences: “Gross motor impairment and lack of physical control. Blurred vision and major loss of balance. Euphoria is reducing and beginning dysphoria (a state of feeling unwell).” For a male of 190 pounds, O’Rourke’s weight as listed in the police report, that BAC is reached after six drinks. In his DWI interview, O’Rourke said he had last eaten at 7 p.m. – pasta – and had drunk two beers. He also mentioned that he had a cold earlier. The accident had been observed by a witness. He told Carrera that O’Rourke, driving a Volvo, had passed him a high rate of speed through a 75 mph zone and then lost control and “struck a truck traveling the same direction.” O’Rourke’s car then crossed the large grassy center median and came to a stop. There are some inconsistencies in the police records – O’Rourke’s Volvo is described as both black and green and he’s traveling either west or east – but the witness who viewed the crash is twice described as saying that O’Rourke tried to leave the scene of the accident. The witness is not identified. We could not locate Carrera for further comment. The charges were dismissed after O’Rourke, whose father had been a local judge, completed a court-approved diversion program, the Chronicle said. An O’Rourke campaign spokesman did not respond to emails or text messages. At The Fact Checker, we place a high value on contemporaneous records. The police reports show not only that O’Rourke was highly intoxicated but that a witness to accident said he tried to leave the scene. O’Rourke was so drunk that he could barely get out of the car without falling, so perhaps he would not have gotten far – or he was simply confused. Perhaps in his memory, O’Rourke believes he did not try to leave. But, given his BAC level at the time of the accident, O’Rourke’s memory 20 years after the fact is not nearly as credible as the police reports written just hours after the accident. O’Rourke could have dodged the question during the debate or he could have said his memory is not clear from that night. Instead, he chose to dispute the factual record. We also believe in second chances and O’Rourke should revise his answer if given another opportunity. In the meantime, he earns Four Pinocchios. Sarek: Sometimes logic fails me where chickens are concerned. 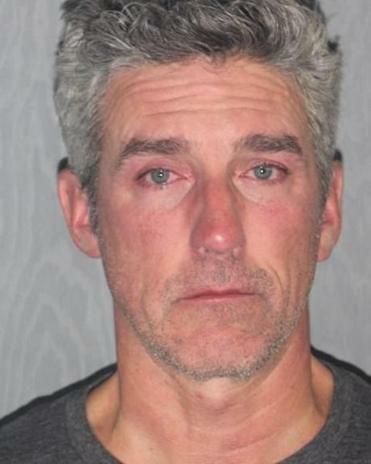 A 48-year-old man was arrested Sunday for allegedly driving drunk and crashing into a utility pole that fell on top of his car on Route 28 in West Yarmouth, knocking out the power in a nearby neighborhood, police said. Christopher M. Doyle of Groveland was charged with operating under the influence of liquor, operating a motor vehicle negligently as to endanger, and a marked lanes violation, police said. A witness who was driving behind Doyle told police Doyle was traveling all over the road on the westbound side, crossing over lanes seven times, Yarmouth Deputy Chief Steven Xiarhos said. The witness then saw Doyle drive his truck into a utility pole that knocked the power out for an unknown amount of time in a nearby neighborhood, Xiarhos said. When Yarmouth officers and firefighters arrived around 1:17 a.m., Doyle was sitting on a fence, uninjured, and his car was pinned down by the fallen pole, Xiarhos said. Officers smelled alcohol in his breath and made him take several sobriety tests, which he failed, Xiarhos said. Doyle was immediately placed under arrest in the Yarmouth Police Department. He was released on personal recognizance after paying a $40 fee, police said in a statement posted on Facebook. Doyle is expected to be arraigned Monday in Barnstable District Court. BEDFORD, Ohio — The former law director of Bedford was arrested Friday night and charged with OVI. According to a report from Bedford police, an anonymous call was received, reporting a drunk driver in a white Chevy SUV on Broadway. An officer at Southwick and Broadway spotted a vehicle which matched that description. The report states the officer observed numerous traffic violations including an illegal u-turn which almost caused an accident. At that time, a traffic stop was initiated. Police say the driver, Kenneth Schuman, was arrested for OVI and taken to the Bedford jail. According to the report, Schuman provided a breath sample of .235 percent. He was charged with OVI and other traffic offenses. Schuman was arrested in 2014 in Twinsburg on an OVI charge.